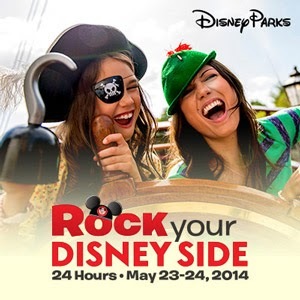 The "Rock Your Disney Side" 24 hour event at the Magic Kingdom is a day away, starting at 5:50am on Friday morning. These times will not appear on the times guide, and as always are subject to change. Appearances will likely be intermittent during the times listed and have yet to be confirmed by Disney.